Juliette wall mirror has unique and simple round designs. Its has a large inner mirror surrounded by many smaller mirrors creating a rare design. It will become the centre piece on any wall. 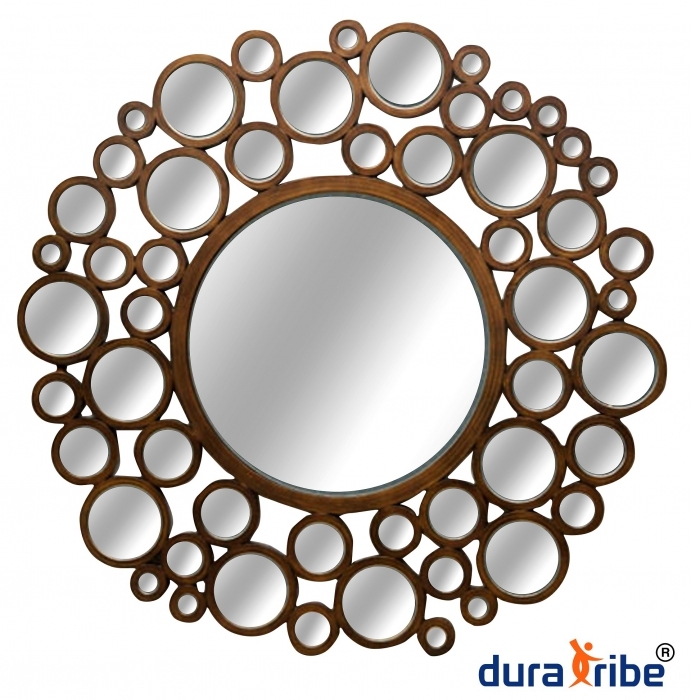 All the mirrors are held in beautifully crafted brown coloured MDF frame. Unique round shape mirror with small mirrors all around inner mirror creating a wow factor. Handmade to highest quality standards and add glamour to any room of your home.